The ubiquity of mobile networks and smartphones in principle offers an excellent infrastructure for participatory environmental measurements, e.g. in Smart City scenarios. 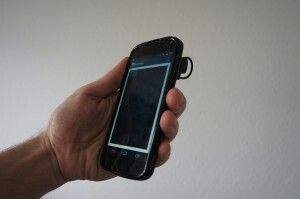 Modern smartphones are already equipped with a variety of internal sensors. In some current models, even environmental sensors for measuring temperature, humidity and air pressure can be found. However, phenomena such as the air quality so far only can be detected with dedicated devices that measure stand-alone or communicate their sensor readings to a smartphone. This places additional cost and maintainance burdens on the user. On the other hand, enabling particulate matter readings with smartphones has a large potential. The particulate matter air pollution in cities today is measured by expensive, static monitoring stations with poor spatial and temporal resolution. Distributed mobile measurements would enable applications such as fine-grained dynamic pollution maps, hotspot detection or reactive systems, e.g. for traffic control, in scenarios of future smart cities. These all require dense, distributed measurements. In order to reach this goal, this project aims to explore the measurement of particulate matter using off-the-shelf smartphone sensors and simple passive hardware addons. The core tasks covered in this Software Campus project are to develop and evaluate a suitable clip-on sensor module for smartphones as well as an app and suitable algorithms for the processing of the recorded images on the smartphone.